This post is sponsored by Embassy Suites. We hosted my extended family for Thanksgiving for the first time this year. Nine relatives, from middle schoolers to grandparents, traveled to Portland so we could eat a good meal and spend the holiday together. This was a big deal! Thanksgiving is the only holiday my extended maternal family spends together. My husband, kids and I are usually the ones to travel since the majority of my family is in California, but this year everyone wanted to see our newly-remodeled kitchen, so a family-wide decision was made that the Dornfests were on Turkey Duty in 2016. I was so excited to have everyone here and I wanted people to feel comfortable and well cared-for. But despite shuffling kids into different rooms and rolling out the sleeping bags, there just wasn’t enough room for everyone to comfortably sleep. The answer: overflow rooms in a nearby hotel. 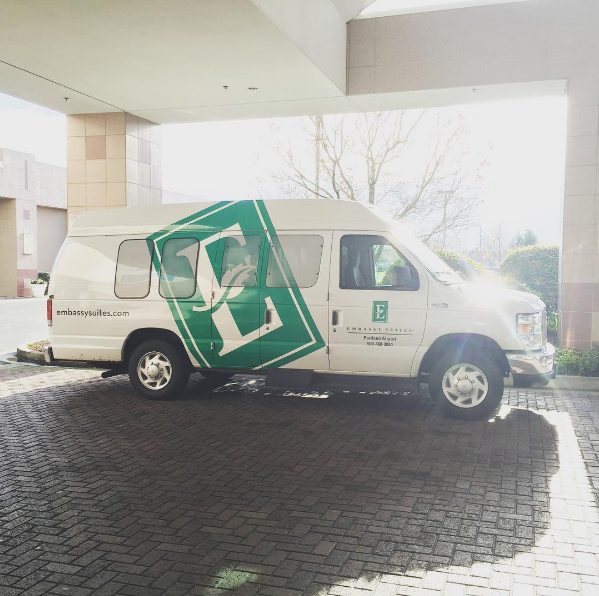 After calling around to compare prices and amenities, I decided to book rooms for the three grandparents at Embassy Suites near the Portland airport. And not because Embassy Suites is a sponsor…because it really was the best value for what we needed (we paid for the rooms ourselves; the rooms were not provided for us). Here’s why putting the grandparents up turned out to be the best decision for all of us. Two-room suites. Each room is a suite (a bedroom + a living room with a sleeper sofa), which made the sleeping arrangements incredibly flexible. If someone felt like turning in early, there was another room for TV-watching, reading, or conversation. For this reason, suites are also a godsend for parents of little kids. Hot, cooked-to-order breakfast is included. The grandparents really appreciated knowing that they could wake up when they felt like it and know breakfast was taken care of, no matter what their dietary restrictions. If you figure the cost of a full breakfast into the room price, you can really see the value. A ride back to the airport is already set. As it happened, my parents drove, but other family members flew. The nice thing about staying at an airport hotel is that getting back to the airport via shuttle is effortless (and free). This was the first time I’ve ever used a hotel as a sort of “remote guest room,” and I’ll do it again. The grandparents loved it…and so did we. 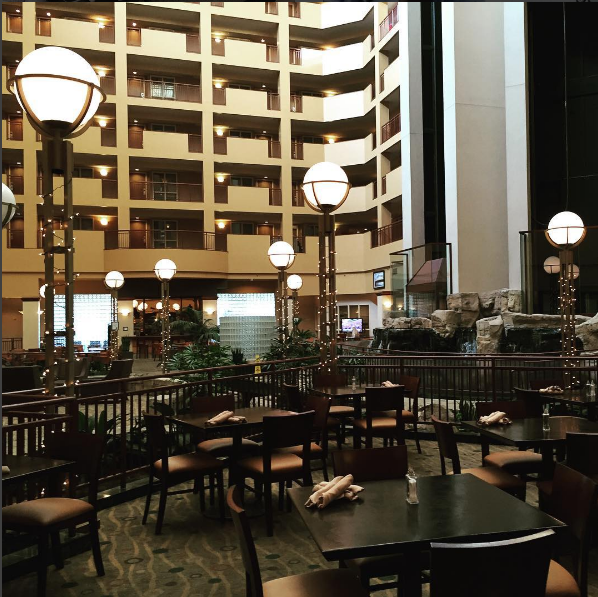 I wrote this post in partnership with sponsor Embassy Suites. They have been a fantastic supporter and I highly recommend them for family hotel stays. All rooms are two-room suites (comfortable for a family of four, or even five if one kid sleeps in a crib). Also included: free hot, cooked-to-order breakfast, and a nightly reception with snacks, drinks, and fun activities for the kids.